It's not hard to believe that France is the second most popular tourist destination in the world. From the beaches of Normandy to the peaks of the French Alps, from the Belgium border to the Mediterranean Sea, France has something interesting for everyone. The capital city is Paris. It is home to thousands of historic buildings, lovely parks and of course, the picturesque Seine River. 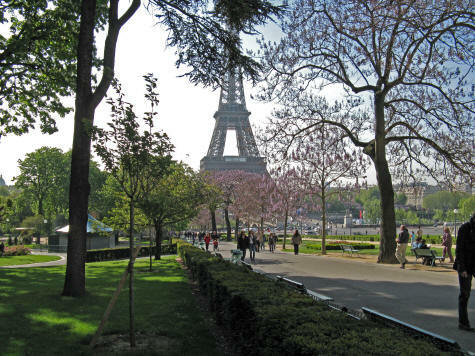 Additional attractions exist on the outskirts of Paris in an administrative region called Île-de-France. The Palace of Versailles is one such place. Many visitors to France enjoy motoring through the French countryside. The Loire Valley, located southwest of Paris, is a wonderful area to tour by car. Starting from the town of Orléans France, one can visit dozens of lovely castles and French chateaus, stopping off at French vineyards along the way. The south coast of France is alluring. From the large city of Nice, one can visit the nearby coastal towns of Antibes, Juan-les-Pins and Cannes France. This region of France is called Provance. The Rhone River Valley between Lyon and Marseille is also wonderful to visit. Don't miss the French towns of Aix-en-Provence, Arles, Nimes and Avignon (which was once Vatican City). Grenoble is located southeast of Lyon and is a popular skiing destination. Cassis, situated just west of Marseille is a lovely French fishing village. Access the travel guides from the menu.